Business development drives the growth of your organization. Risk management can help effectively manage the weaknesses and threats to achieving your objectives, as well as recognizing and capitalizing upon opportunities to help the business grow and develop. 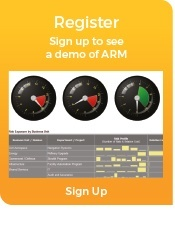 ARM helps you win more profitable business by building up a knowledge base of successful (and un-successful) bids and projects across the organization. This information helps to spotlight the right business to go after. It will also make it easier to produce accurate bids on time and to mitigate the risks of the new business you win. With ARM, you’ll help drive the growth of your organization, effectively manage the weaknesses and threats and capitalize on new opportunities.